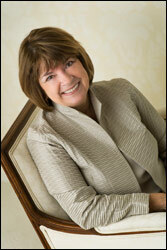 Phyllis is a wife, mother, author and former family counselor and educator. Her path into public speaking began as a Jr High Counselor involved with youth on drugs. She consulted across the midwest to anticipate and prepare for the impending doom of drug abuse, spearheading a campaign to intervene in those choices by establishing a drug counseling center in Collinsville, IL. She was quoted in the Congressional Record by Congressman Melvin Price at that time. Her efforts were recognized by the Governor of the State of IL. Once her nest of four was up and running, she led a weekly Bible study of 100 women from 14 different church backgrounds at Good Shepherd Lutheran Church in Collinsville for ten years. This opened opportunities to keynote conferences and seminars around the country, occasionally bringing 4 children on 6 instruments into the mix! In 1991, she initiated the “Woman to Woman” program on KFUO-AM radio in St. Louis, MO. The show was picked up by Lutheran Hour Ministries in 1993 and was eventually syndicated to 400 stations. Phyllis has a BA from the University of Illinois – Champaign and an MA in Educational Psychology from Southern Illinois University-Edwardsville. Her graduate research included work with street gangs and the State of Illinois Department of Corrections to build self-esteem and life skills in delinquent youth. Her unique approach was featured in “Psychology Today” magazine. Awards include Governor’s Citation for Outstanding Service to Youth, Homemaker of the Year by Eagle Forum, State of Illinois, along with broadcasting industry awards. where in the world is Phyllis?